It’s been a little hectic recently……….but enjoyably so. 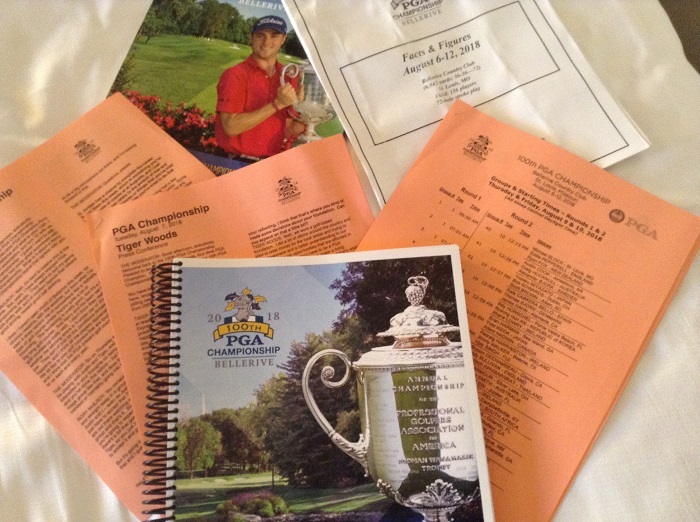 I’m here in St Louis, Missouri, for the 100th playing of the USPGA Championship, the final of the men’s four majors for 2018. 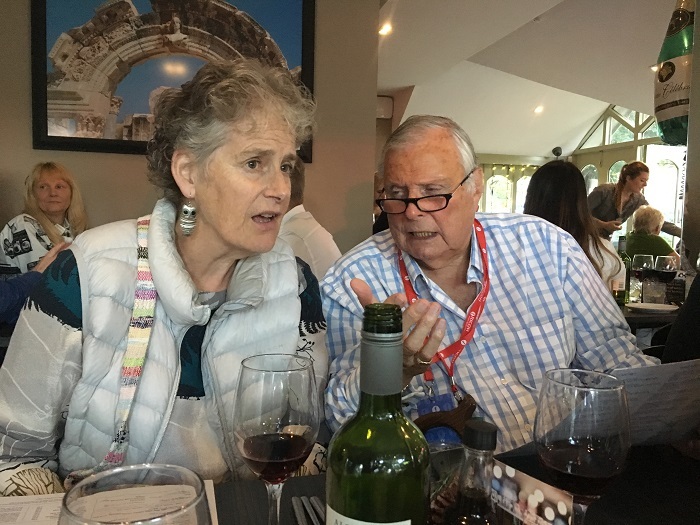 It was a bit of a dash from Lytham on Sunday, having watched Georgia Hall’s glorious victory at the Ricoh Women’s British Open and as I am also a little jet-lagged I thought I’d cheat a bit this week and do a bit of a pictorial diary of my last few days. So, here we go……..a flavour of my last five days. Georgia Hall. 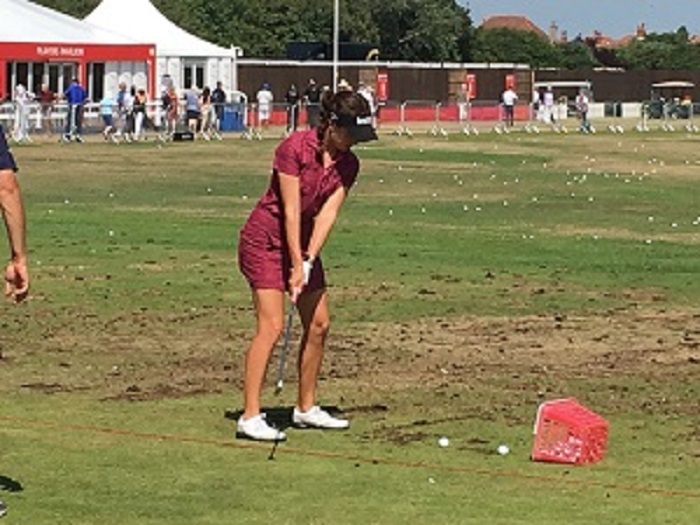 The soon-to-be newly-minted Major Champion – winner of the 2018 Ricoh Women’s British Open. 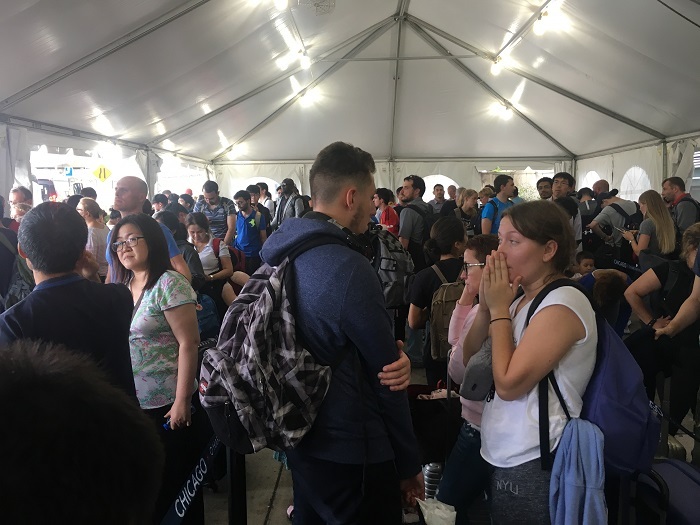 No, not the galleries with Tiger’s match – rather the queue at Chicago’s O’Hare airport for the transfer passengers. I had 3 and 1/2 hours to make a transfer. Made it with 15 mins to spare. Phew! 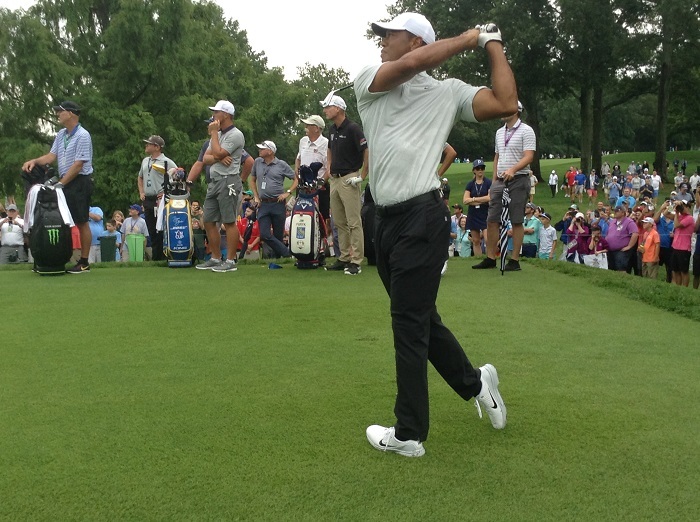 My first look at the course and look who I bump into – Tiger himself. Whatever you may think of him he is still electrifying golf audiences. No shorts though. Sergio showing off his legs. 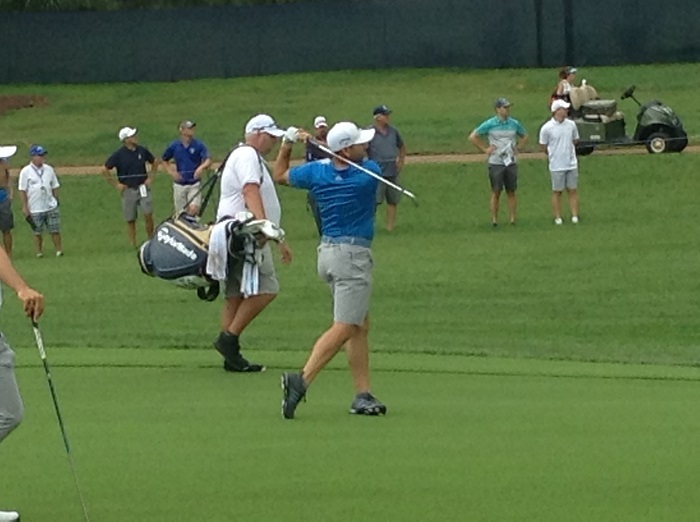 The boys can wear shorts in practice as it’s a USPGA event. What a result that is in almost 100 degree heat. I don’t just stroll around and watch a bit of golf, you know! Some of my “homework” for the week. 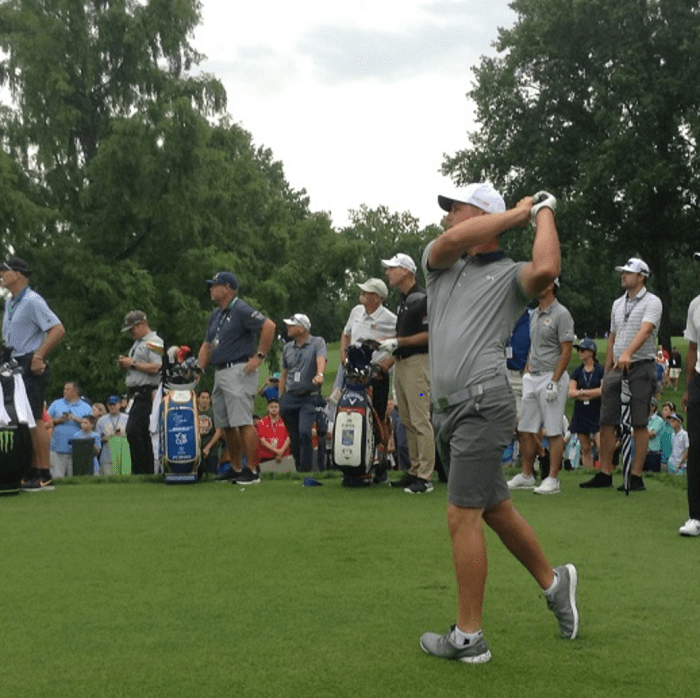 The PGA hosts a long drive contest on the Tuesday of Championship week. This year’s winner was Bryson DeChambeau with a blow of 331 yards! 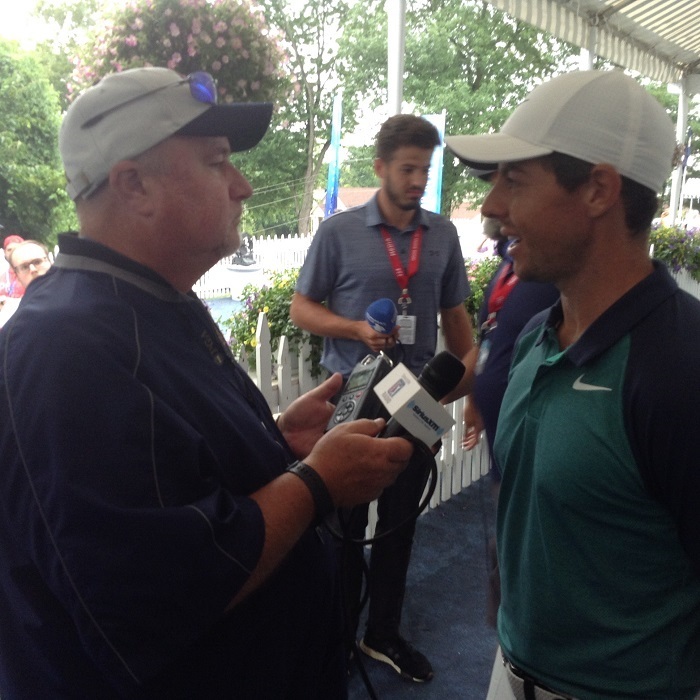 My colleague Fred Albers grabbing a few words outside the media centre with Rory, unfailingly generous with his time with us all. 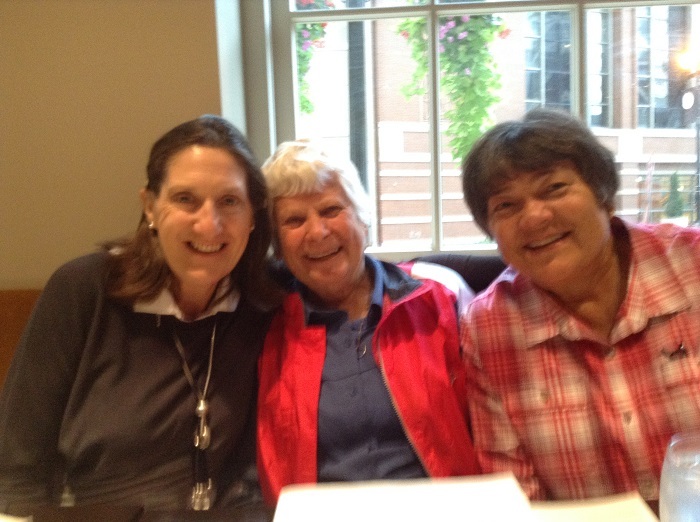 Pat Park (centre), my college coach and her pal Gina drove in their motorhome from where they live in Texas to Missouri via Canada to see me! We go back 40 years and golf brought us together. And “X” marks the spot. 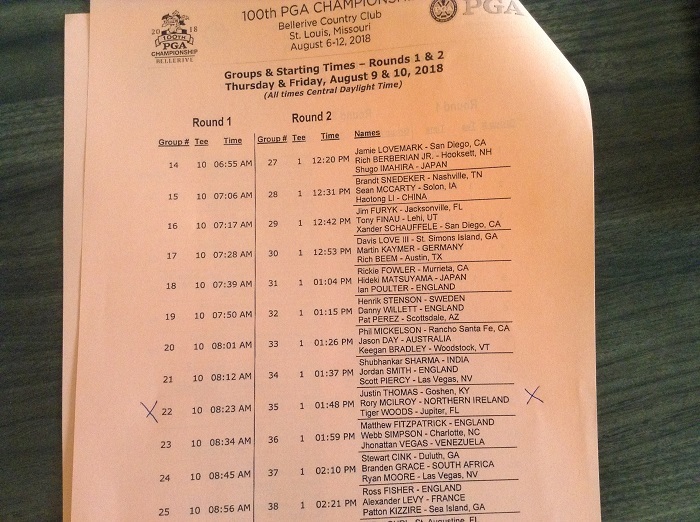 My Thursday and Friday match assignment. Not too shabby. Like you Maureen, been a hectic few weeks and were certainly glad to get home and to our own beds!! The Open at Carnoustie to The Seniors at St Andrews, Ladies at Gullane then Ricoh at Royal Lytham with some demo days between. Now its time to catch up on work and sleep. Don’t envy you your schedule. How ridiculous is it that this major golf tournament cannot be found anywhere on the TV channels in the UK? Who wants to watch it on Facebook.. on a small screen..that’s presuming you’re of the generation that has Facebook! Last week was bad enough with the ladies British open only being on sky unless you wanted to stay up til midnight to catch a glimpse on the BBC. My elderly mother who loves listening to Maureen unfortunately could not stay up that late and so missed it all. Shameful. I agree not enough attention to women’s golf. I watched all the cover of the Women’s Open. I was amazed at the quality displayed by the final pairing. It was the best competition since Sergio and Phil at the Ryder Cup. Need more info on Georgia’s practice putting regimen. Thanks. Priceless my dear. What more can you say about this game of golf to play.